Final Fantasy XIV likes to keep players interested with three month major patch cycles, but in-between there's little events here and there that are the glue that holds it all together. They're not above re-using them though, and just like the Yo-Kai Watch event, the Dragon Quest crossover "Breaking Brick Mountains" is returning later this month. 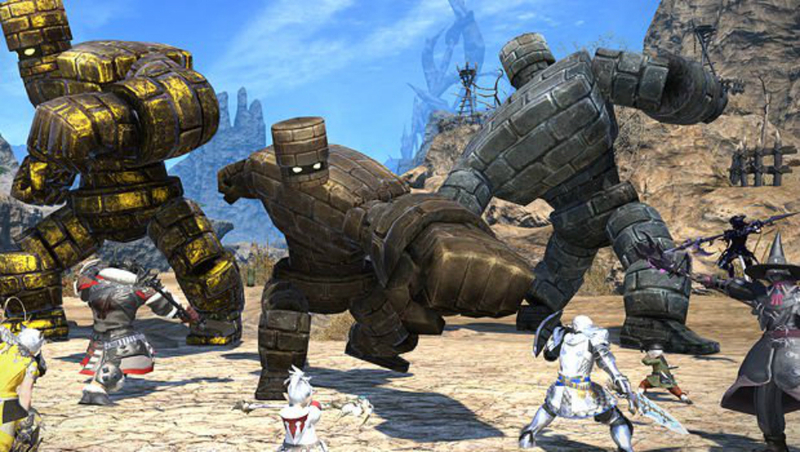 From November 30 until December 14, you'll be able to battle Golems and earn cosmetic items. If you're like me and you already did the event back in 2014, you can't do it again, but for all the newcomers and alt characters out there, it's a fun little way to spend an afternoon. Bring on the Noctis crossover! He's already in Dissidia and Tekken 7 at this point!